We only make boots, so I can’t speak for the Wetsuit Market overall. In our case, since we have an innovative product (heat moldable custom fit boots), our growth is exceptional. It’s difficult to attribute this to market growth or the fact that we are a new brand with new technology. Likely the latter. From what I hear from shops/reps/manufacturers, the established wetsuit brands are absolutely struggling with the influx of new brands (D2C and others) and the oversupply this is creating in the marketplace. Consumers are figuring out their size and searching online for the best deal. The traditional surf shops seem to be having a hard time with the old model of stocking a few brands and getting most of the sales from their region. 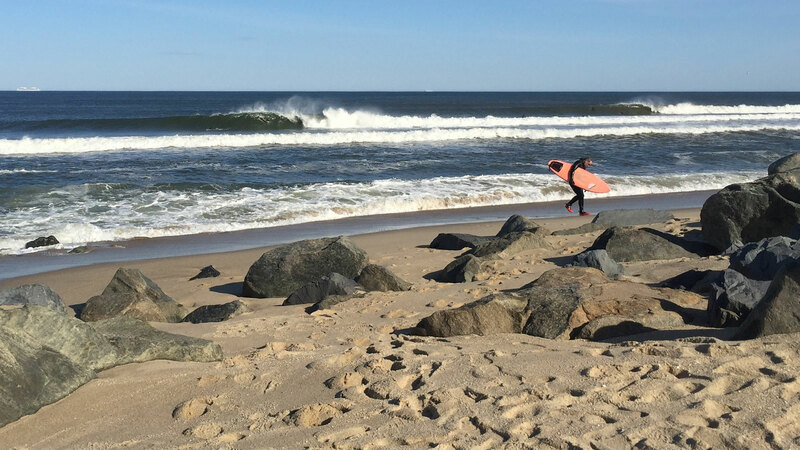 Winter surfing is growing in most if not all regions, but wetsuit purchases seem to be migrating online and the local retailers aren’t benefitting. We start in the “mid-range” price and don’t play in the low-end space. All of our boots are custom fit (heat moldable with boiling water). That is the base. From there, we add additional functional features at the higher end: 0-Ring Seals; Velcro Arch Straps; More Plush, Quick Dry/Thermo Lining Materials. 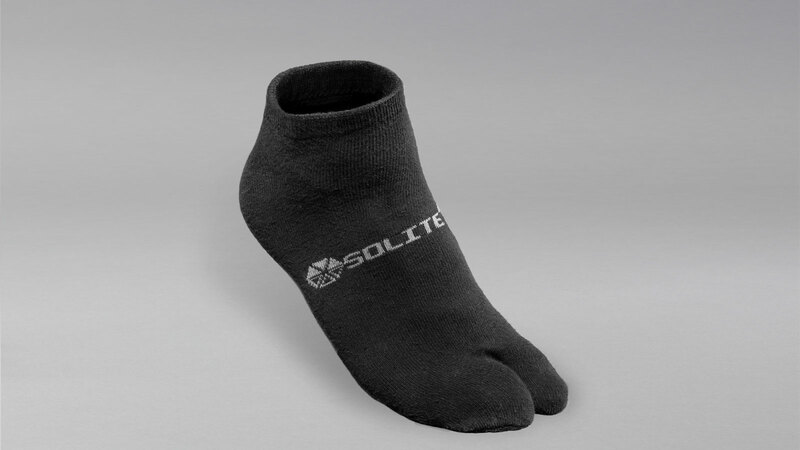 We are seeing specific demand for a boot for frigid temperatures (water 32-45F; Air below freezing; snow on the beach) so we are introducing a new Solite “Custom Fire” boot which is a blend of 8/7/5/4mm thicknesses with our 1mm Heat Booster sock INCLUDED in the box. This is the answer to people who surf in the coldest possible conditions: New England, Scandinavia, Russia, etc. We are also in the process of developing/testing Solite Heat Moldable Gloves. But time will tell whether we release them for Winter 2020 or not. We only make boots. While black certainly is the most conservative/surefire seller, we have made a name for ourselves with some distinctive bright colours in our boots. It grabs attention in photos/videos but also we are finding that people are a little more adventurous with footwear. 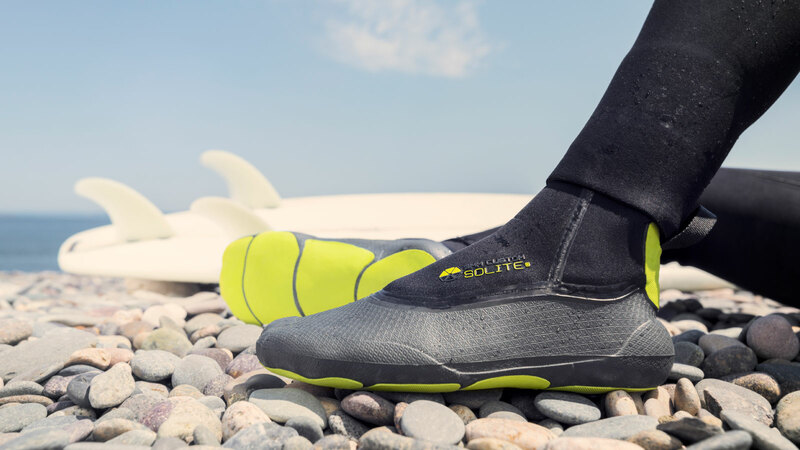 If you look at all the limited releases in athletic footwear, there is a mindset that getting limited run, cool-looking shoes can translate to surf boots. All of our neoprene is limestone-based. Honestly pretty much every mid/high-end wetsuit is limestone-based neoprene. We are always open to more eco-friendly materials and processes, as long as the price is competitive. We are already a very high-price/high-cost product, so we have to be careful not to price ourselves out of the market. Again, we are focused on boots (and gloves) and we feel like our materials/technology IS the future since we are the first company making boots (and soon gloves) with a heat-moldable thermo-foam and totally unique construction method and materials. This is only the beginning, however, and we are pushing every day to advance our technology applications and develop new ones.